weird things is that when I go to the menu section to look at things like EV-ECU, CMU, BMU and OBC hardware and firmware revisions, it cannot read anything from the OBC. I've tried it on three different fully working IMIEVs and same situation. From what I've read in different places, There is more than one canbus in the IMIEV, and the EV-ECU acts like a firewall connecting between them. KIEV can correct me, but I think DTCs from the OBC get copied to the EV-ECU, and the MUT III is reading these error codes from the EV-ECU and not from the OBC itself. I had a case where I read OBC and DC-DC errors (because the 20 amp fuse was blown) I replaced the 20 amp fuse and the OBC with a different charger, and when I powered up everything again, I still had the OBC and DC-DC Errors. I had to erase the stored errors and run it again fresh to get the real status. Since you had to unplug all the nest of wires and quick disconnect connectors on the main PCB, I would do another re-check through that all of those got plugged back into the correct spots. 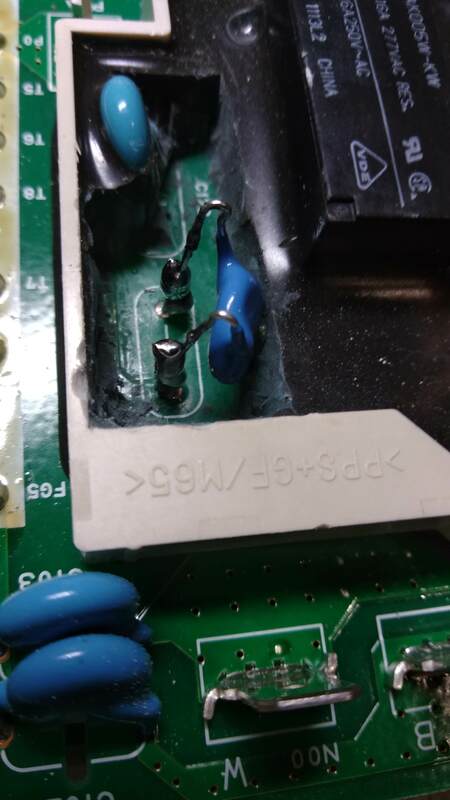 When I was frist starting on a OBC, I used KIEVs suggesting to solder wires onto the pins on the connectors along the white strips (all the connections you had to unsolder to remove the waffle) and I ran these wires out to a external terminal block. I could then apply AC to the input of the charger and check different voltage points while the top pcb was safely fitted back down. Check what voltage is sitting across the big three caps. 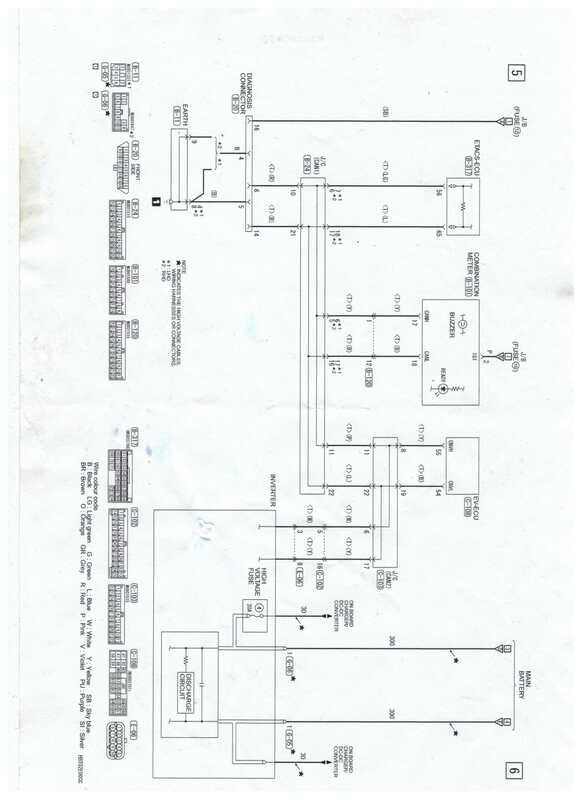 That will tell you if the front end of the charger is ok. You can use KIEV's schematic of the main board to see which white strip connector pins can be used as test points. weird things is that when I go to the menu section to look at things like EV-ECU, CMU, BMU and OBC hardware and firmware revisions, it cannot read anything from the OBC. I've tried it on three different fully working IMIEVs and same situation. From what I've read in different places, There is more than one canbus in the IMIEV, and the EV-ECU acts like a firewall connecting between them. KIEV can correct me, but I think DTCs from the OBC get copied to the EV-ECU, and the MUT III is reading these error codes from the EV-ECU and not from the OBC itself. I don't think there are multiple CANBUS networks in the i-Miev. (Even the Chademo port shares the same global CANBUS AFAIK) What it does have though is some redundant communication between critical drive related ECU's using the old "K-Line" protocols over separate wires. In the event that CANBUS communications between key driving safety related ECU's are lost they will revert to using K-Line communication. Thank you for pointing out that the OBC has to have AC active to be able to see it on canbus. That has stumped me for a while. I do have some documentation that does show there are more than one CANBUS in a IMIEV. I'll start posting some pictures to show this. I'll edit this post when I can find another page with the other canbus signals. 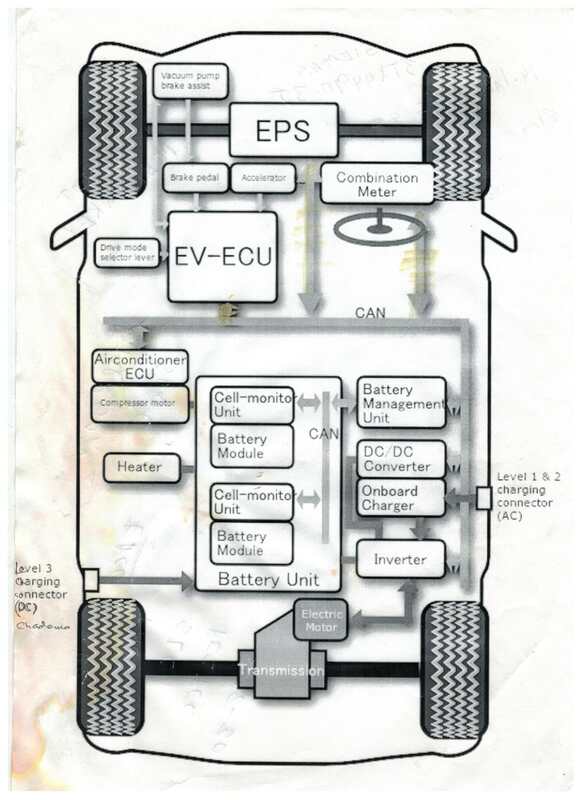 There is also an overview page I had that shows the two CANBUS seperated. The guy that developed EVBATMON also pointed this out to me. 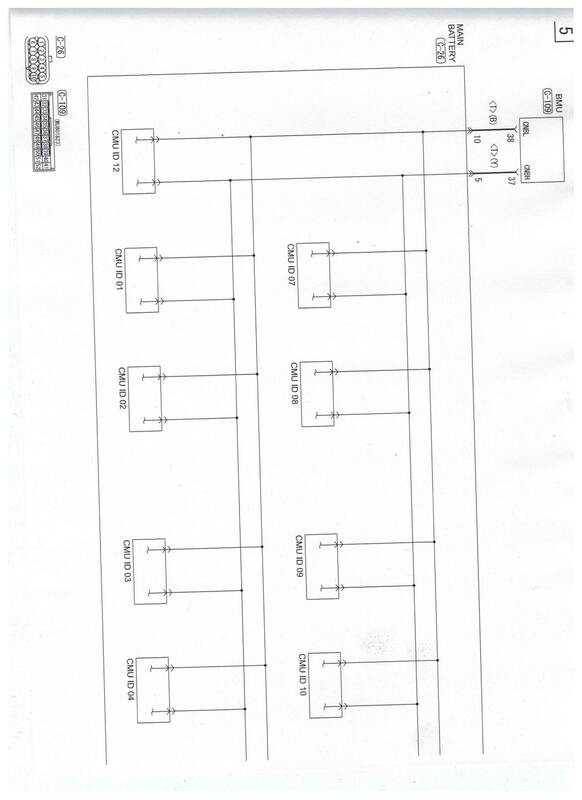 My scanner is doing weird things, but on the schematic page showing the Cell monitor boards, there is a CANBUS Terminating resistor that got cut off the scan, I'll see if I can re-scan that section. This shows a terminating resistor specific to the CANBUS for the Battery Unit. And it works! So no other problems from the car. Thank you all for this extra forum and for your answers! Both chargers #1 and #2 are exactly the same: do you think I can put the top PCB of the charger #1 into the charger #2 without danger for the charger #2? This would allow me to guide research on the failure. If the charger #2 still works with the top PCB of the charger #1, it means that the failure of the charger #1 comes from the bottom PCB. If the charger #2 no longer works, then the failure for the charger #1 is coming from this card (or both). Correct? Great job on making repairs to chargger #2. i assume only the one cap you changed had shown signs of damage. Regarding the troubleshooting of box #1 by swapping boards: that is a dangerous and expensive troubleshooting tactic-- i would not recommend trying this unless you have a 3rd chargger available, or are willing to risk losing #2. We don't know the root culprit that is causing the OBC to fail, and we don't know why your #1 failed. Your #1 box failure appears differently than those discussed on this forum, and did not respond to repairs such as with others. For example, It could be that components in the waffle plate under the bottom board in #1 have failed due to a power supply or control signal malfunction on the top board, and if you install #1 top board in a good chargger, then you cause another waffle plate failure. Can you update page 1 of this thread with my charger exchanged by a repaired charger? Indeed, it is not the same type of failure. In one case (mine) the failure is downstream of the filter, in other cases the failures are upstream (power supply side) Correct ? For my charger, the two resistors 4R7 were faulty, the capacitor 2.2μF, and one of the three big capacitors 680μF was curved on the top. 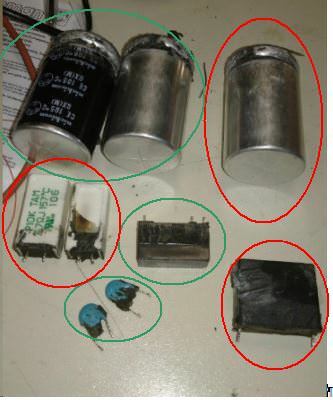 Both 1000pF capaciters were ok.
Those on the forum Imiev, it is a failure of 1000pF capaciters, with or without a failure of 4R7. 1PK had the same problem as me, and he could not repair his charger, too much components out of service. So, can we say that there are two kinds of failures? At least two and likely more--it is quite a puzzle to figure out the failures. I reread pages 5 to 10 of this thread concerning the installation of this charger on a test bench with you skylogger and coulomb. Do I have to test this configuration connected into the car, or a test bench is enough ? So far we don't have a good set of bench testing procedures--you really have to connect the OBC into the HV buss, and the CAN/Low Voltage connector, and the coolant fluid lines, in order to test a box. It's a big pain to swap one out, but i don't know any other way at this time. With schematics it may be possible to apply low-level voltages to determine if the onboard power supplies are working or shorted, et. You shouldn't need to solder any jumper wires onto the board unless you plan to test it while installed in the car and want to meaure or monitor the voltage patterns.